By Dr. Oduwo Noah Akala. 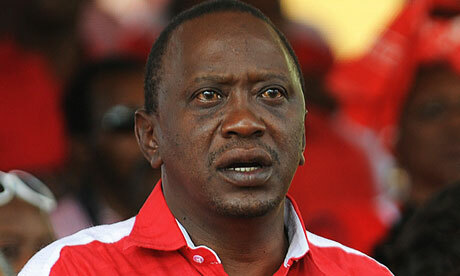 Kenya is in a peculiar socio-economic and political conundrum. This is because in our country, the minority of the population is employed and earning an income. It thus follows that it is this minority that pays tax which funds Government and all of its activities. Yet, when it comes to choosing a Government, its the majority who are unemployed and do not pay tax that have the final say. The non-tax paying majority essentially decides how tax revenue generated from the tax paying minority is going to be spent. This imbalance in the system is an austerity ticking time bomb as the tax burden on the employed minority increases year after year to service impractical programs of which we have been presented with a host. It is important to note that the budgetary deficit amounts to roughly fifty percent. It is common knowledge that any budgetary deficit is a tax just waiting to happen; it’s not a question of if but when. The idea behind applying a Value Added Tax on basic commodities was actually the International Monetary Fund’s. This is not a new concept. It was one of the recommended pre-conditions to the Kenyan Government prior to the release of donor funding. The idea being to tax consumption and allow relief on income tax so as to spread the tax net wider. However, the Jubilee Government has deemed it wise to hit the Kenyan people with both a relatively high Pay As You Earn tax as well as a Value Added Tax of 16% on consumption. The Kenyan worker is bound to groan under the weight of expectation from the tax man. Even more difficult to fathom are moves such as taxing welding rods and applying VAT on sanitary towels. Welding rods are used by Jua Kali artisans working in small scale businesses across the country. Jua Kali artisans are the face of micro-enterprise in Kenya. A tax that burdens small business while big corporates are raking in profits of billions is not only immoral but inequitable as well. With regards to sanitary towels, we had made progress in the past five years by first making them tax free and following that up with a Programme to provide girls in public schools with sanitary towels for free. This basic intervention ensured no girl ever missed school for natural biological reason and girl child performance improved drastically. Why tax sanitary towels now? What will happen to the Sanitary Towels for Public Schools Programme? All these taxes would not be a problem if the people were receiving a commensurate level of service from their Government. Sweden has an income tax rate of fifty percent! BUT, the public transport is reliable and extensive, healthcare is catered to by the Government and so is education up to University level. The end result is that this Scandinavian nation has one of the highest standards of living in the world. We, as Kenya, are nearing this level of taxation yet we have forty percent of our population living on less than a dollar a day, the world accepted indicator for poverty! This is what has informed the raft of industrial action that the Government is facing from public servants across the board. Teachers have issued an ultimatum to go on strike from midnight today on the back of the Government failing to honor a Collective Bargaining Agreement dating back to 1997 and yet this same Government presents an ambitious 54 Billion shilling Laptop Programme. Nurses in the National Referral Hospital followed suit. Expect the same in the coming weeks from doctors. I put it to you, that this Government is disconnected from the hopes and ambitions of the Kenyan people. Our leadership is not in tune with what we as Kenyans aspire to.